This is a superb mark for flounders that can produce quality fish all year. There are various places on either side of the river that are considered hot spots, but the most convenient and therefore most popular area is the walkway along the north bank. This walkway, from the bridge leading around towards the open sea, is an ideal venue for staging small pegged matches and is also popular for hosting junior events. Flounders to 2lb can be landed during most months of the year and eels will show from June through until October. The River Aln has a tremendous reputation as a sea trout fishery and occasionally one of these highly valued game fish is foul-hooked. Sea trout should be returned to the water immediately. Fresh peeler crabs are best for flounders and eels at any time. During the colder months when crabs are hard to obtain, worms tipped with mackerel strip or a sliver of sandeel will take plenty of fish. Lightweight tackle is all that is required because the river is fairly narrow and a short lob is all that is needed to put your bait in the centre of the flow. I use a Cono-flex Flattie Fanatic coupled with a Shimano Baitrunner fixed-spool reel, 18lb mainline all through, a two-hook trace and a 2oz rolling sinker. Most match anglers use Mustad Nordic Bend 4446B fine-wire hooks because they are easy to remove. Take the A1068 north from Ashington and head for Alnmouth, passing Amble and Warkworth. At the Hipburn roundabout bear right towards Alnmouth and the road crosses Alnmouth bridge. Park safely next to the bridge on the left-hand side of the road. The fishing marks are accessed via footpaths either side of the bridge. 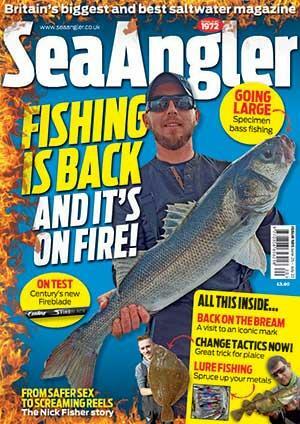 Amble Angling Centre, 4 Newburgh St, Amble, tel: 01665 711200. Jobson's of Alnwick, Bondgate Within, Alnwick, tel: 01665 602135.